Welcome to SSR Metals Private Limited Manufacturer & Exporter of Plastic & Sheet Metal Cabinets We are an ISO 9001:2000 certified company, established in the year 2001. International quality standards & in-house R&D wings help us to cater Middle East & Indian Subcontinent. Our extensive range of products and experienced & expert workforce helped us to gain clientele like Balaji Electricals & Microtec Invertors. 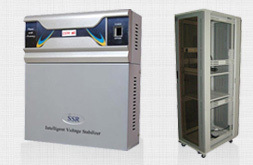 We offer a splendid range of UPS, Inverter & Weighing Scale Cabinets. Inverter Cabinets & Enclosures offered by us are widely acclaimed in the market. We offer UPS & Weighing Scale Cabinets that are nothing but the best solution for all your needs. 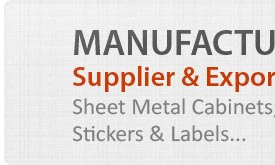 We also provide Trolley Moulds, Stickers & Labels that are a class apart. 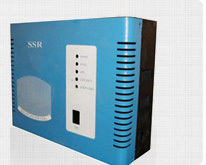 Along with that we offer Server Rack & Voltage Stabilizers Cabinets that are in huge demand in global market. 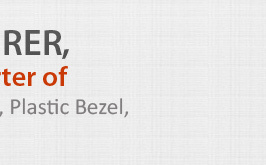 Our Scientific Equipment Enclosures are extremely reliable.